Occasional articles on various aspects of nursery life, growing plants and running a small business. Since we started selling plants online, many people have asked us how we pack our plants. "Do you just stick them in a box and label them 'DO NOT SHAKE' ? ". The strange thing is - some of them are serious! If only it were that simple. There are many different ways to pack plants. Some nurseries remove the plants from their pots and some of the compost as well. It does save weight, obviously, but I don't like it. It leaves the plant exposed around the neck and the customer is forced to deal with the plant immediately on receipt (plant it). 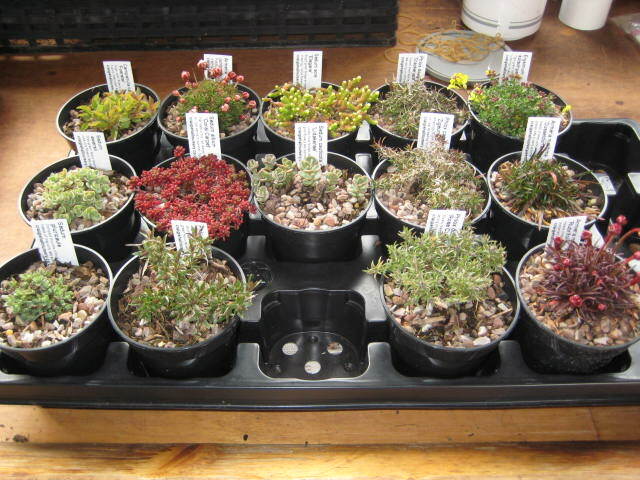 The modern way is to use blister packs - moulded plastic bubbles with preformed niches that hold a specific size of pot (and the plant) securely. They are amazing - and costly, and we don't like costly! They only work if your plants conform to the dimensions of the pack. 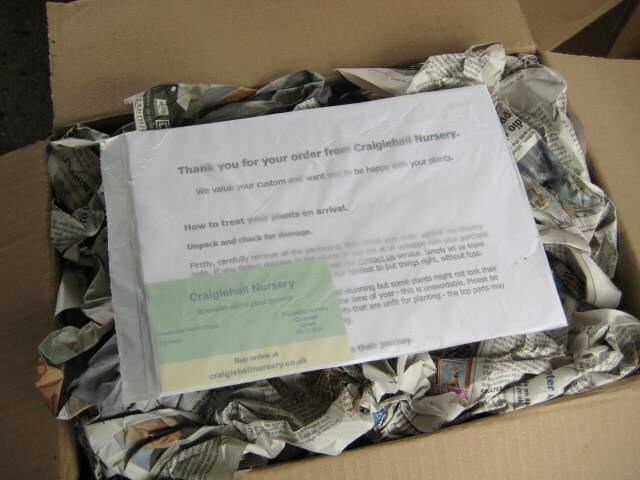 All the big growers use them for mail order; nurseries who produce a limited range of uniform products by the thousand. That's not us! When I worked for a large retail nursery many years ago, they wrapped plants in paper or shrink-wrap but packed them into boxes using straw as a cheap and readily available packing material. And it worked very well - unless you suffered from hay fever. Straw, especially if it has been baled ever so slightly damp, is full of dust and fungal spores. It's not nice to handle close up. An early spring order ready for packing. The plants have been picked out, labelled and cleaned over to remove any dead leaves etc. Then we double-check the plants against the printed order. And check the box label matches the delivery address. 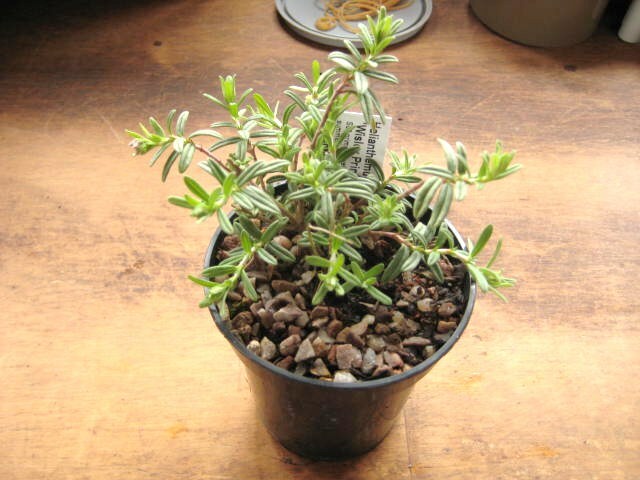 Here is a Helianthemum ready for wrapping - not from the above order, obviously, but a good example to use.Next we show you how we wrap the plant so that it will arrive with the customer looking (almost) as good as it does here. 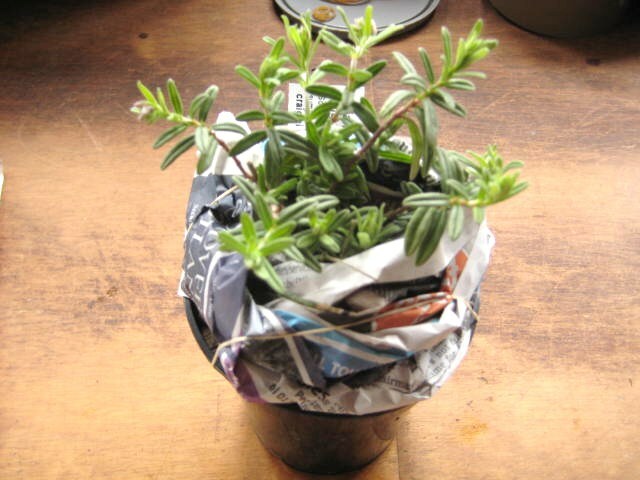 We take a sheet of newspaper and carefully wrap it around the neck of the plant. This keeps the grit and compost in the pot but more importantly, it protects the base of the plant.We secure the wrapping with elastic bands. When unwrapping, please be sure to remove the wrapping very carefully - it is often tucked right into and under the plant. 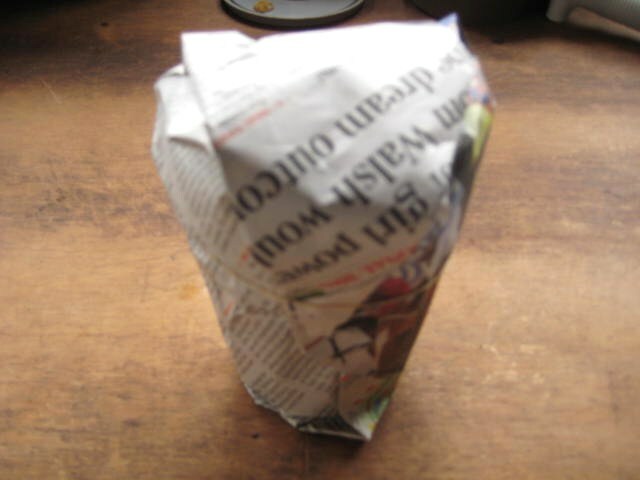 A final outer wrapping of a single sheet of newspaper helps protect the top parts and is again secured with a rubber band.It wouldn't matter too much if these stems were snapped off but we like you to receive as nice a plant as we can. Yes, we do use a lot of newspaper! But it can all be recycled or composted. This is a slow process - well, it is if you take care of plants the way we like to. Monday and Tuesday mornings are spent packing plants (it's a 6am start when we are busy) and I like to be prepared well before - orders printed, plants lifted and prep'd, boxes selected, courier booked and labels printed. All set for a busy morning with no interruptions - sometimes!